RIC hearing aids take their name from being Receiver In the Canal hearing aids. 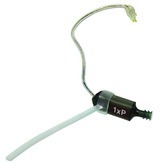 Traditionally, hearing aids have an earhook which attaches to a tube which attaches to an earmould. With a RIC hearing aid the 'bit' that 'makes the sound' is an earpiece or 'receiver' which sits in the ear canal and is connected to the hearing aid via a small wire - often referred to as receiver wires. Each hearing aid manufacturer has their own type of earpiece/receiver wires - although Phonak & Unitron both use the same type. On the housing of Phonak earpieces there is coloured labelling - blue for left and red for right. The length or size is shown by a number (0,1,2 or 3) and the power by xS for standard and xP for power e.g. 2xP. 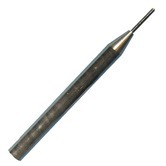 If you do not already have one you will need to order a removal tool to replace receiver wires - part no 3PATOOL1. Included in the pack is a selection of domes – a small, a medium and a large dome are included - open domes are supplied with Standard Receivers and power domes with Power Receivers. 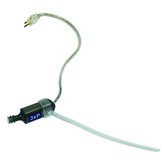 Custom xUP Ultra Power receiver wires are available for some models by special order direct from Phonak. Please note, before purchasing replacement receiver wires please make sure that you know how to safely remove and replace them yourself. 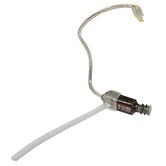 Connevans will not accept any responsibility for any damage to hearing aids when you replace/fit spare parts. Domes need to be ordered separately; open domes are normally used with standard receivers and power domes with power receivers. Please note for hygiene reasons these products are excluded from the Connevans extended returns policy. 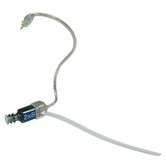 Adaptor to allow current Phonak RIC receivers to be used with old (pre-2013) Phonak RIC hearing aids. 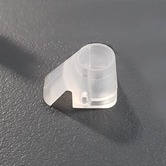 These domes are for use with Phonak's range of hearing aid tubes and RIC receiver earpieces. The Phonak advice is to clean domes daily and replace monthly.